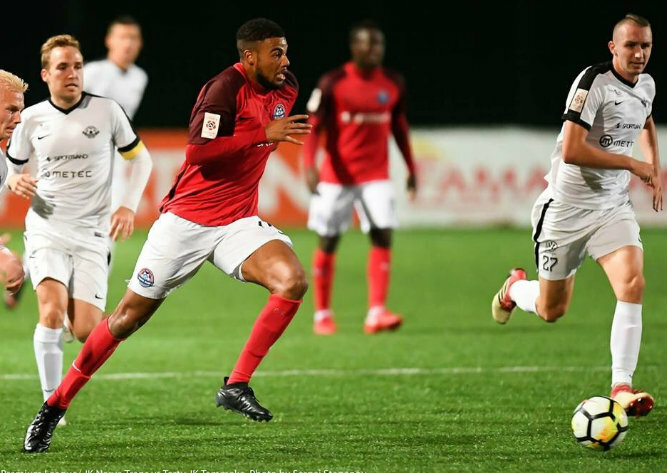 Dante Leverock and his JK Navra Trans teammates defeated Tammeka 2 – 1 in Estonia Premier Division action. Viktor Plotnikov gave JK Navra Trans the lead in the 40th minute from the penalty spot, but two minutes later the score was 1 – 1 when Tauno Tekko converted from the spot for Tammeka. The winner would come in stoppage time when Eduard Golovljov scored earning JK Navra Trans the win.